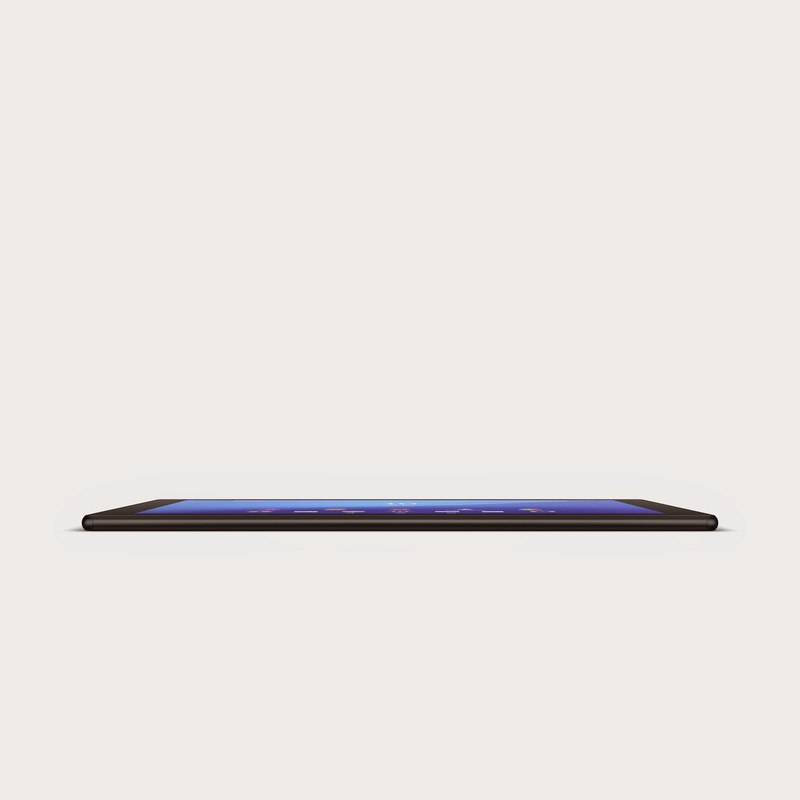 The Xperia Z4 Tablet fits its 2K (2560x1600 pixels) display in a 6.1mm thick body that weighs 389g (393g for the LTE model). It runs on a Qualcomm Snapdragon 810 processor with an Adreno 430 GPU, 3GB of RAM, and 32GB of internal memory complemented by a MicroSD slot. 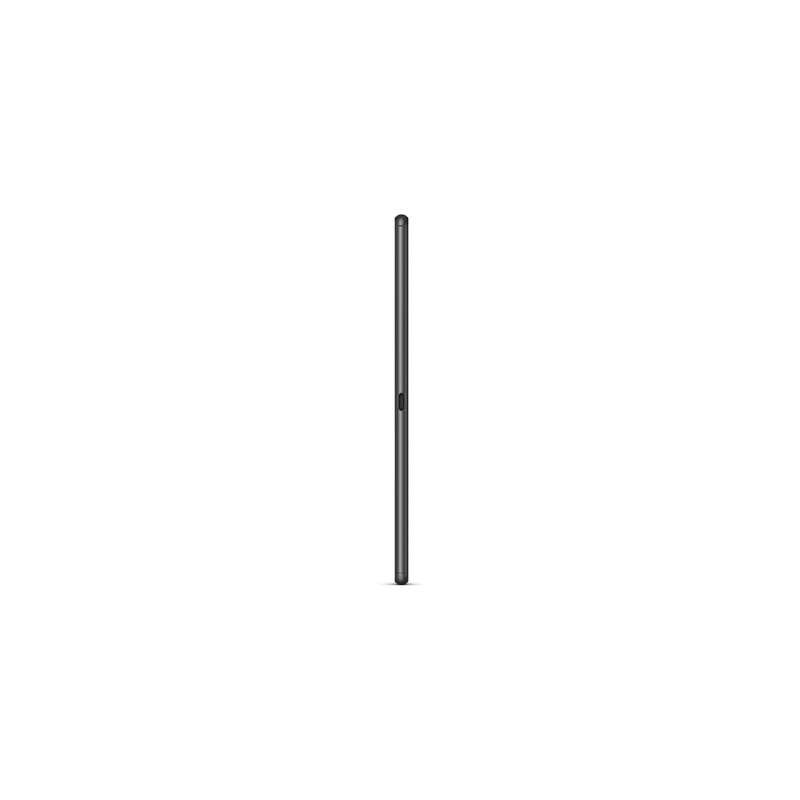 An 8MP camera sits on the back, capable of 1080p video recording, whereas the front camera is a 5.1MP wide-angle lens for better selfies and video chats. 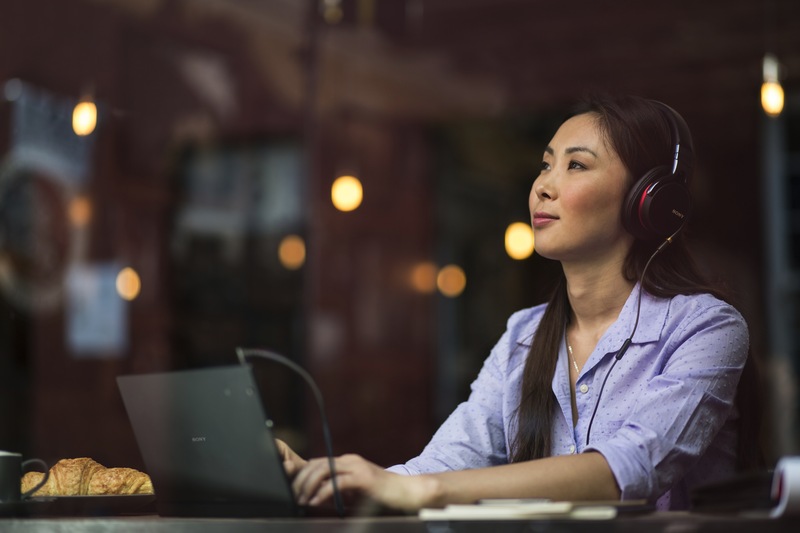 Sony is stressing the sound capabilities of the Xperia Z4 Tablet, which include two front-facing stereo speakers, faster wireless transmission than Bluetooth, and digital noise canceling with adaptive adjustments when plugging in headphones. 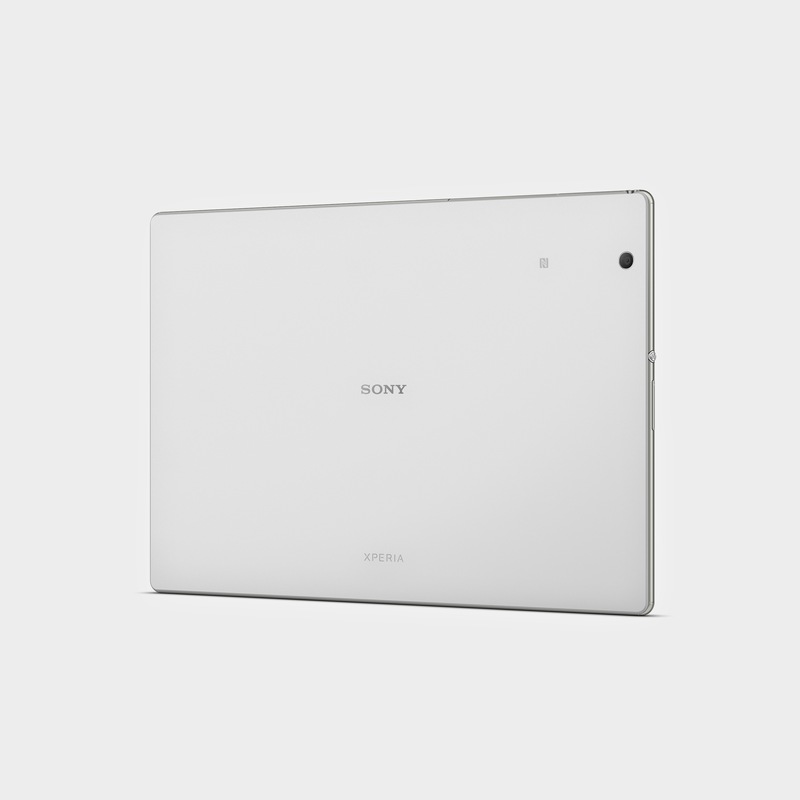 Another selling point of the Xperia Z4 Tablet is its battery life. A 6000mAh battery sits inside, providing up to 17 hours of video playback — crazy awesome! 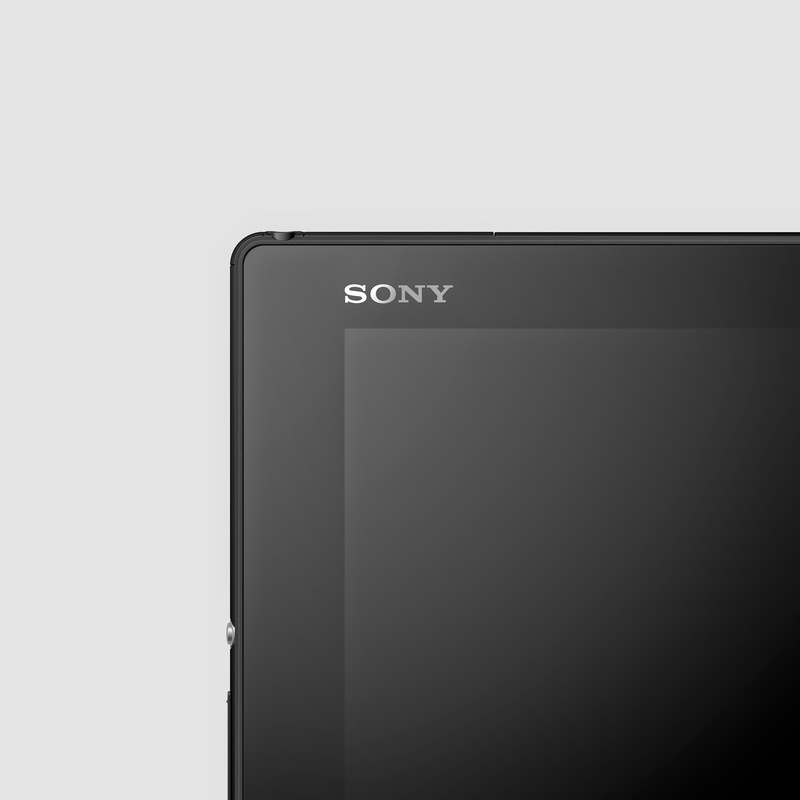 Sony says that you "can travel half way around the world watching movies on a single battery charge." Stamina Mode is also on board, helping extend the battery life when you know you'll be away from a power source for a while. 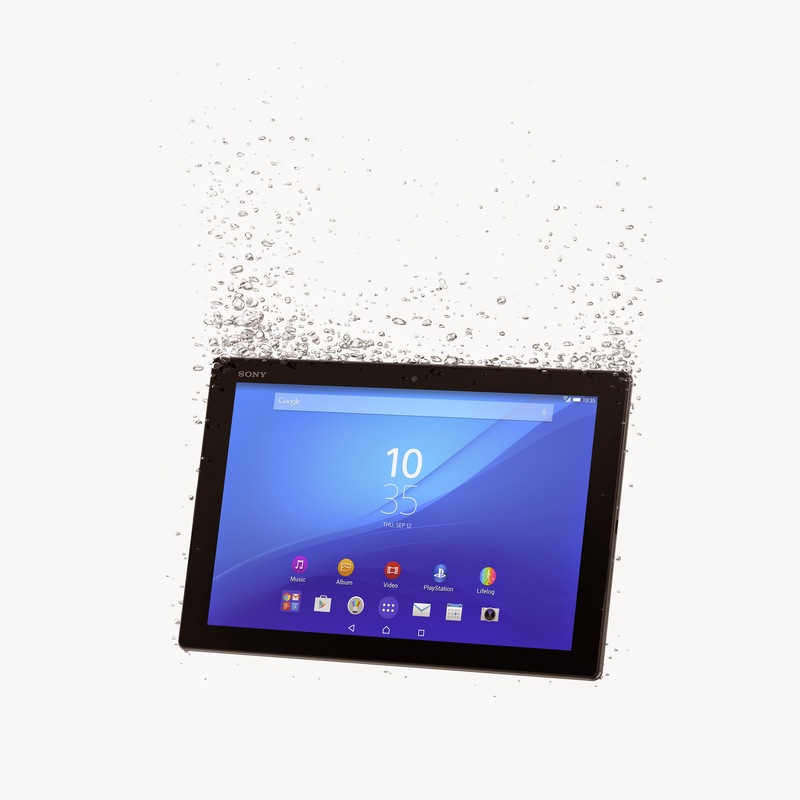 Like its predecessors, the Xperia Z4 Tablet is IP68 waterproof and dust-tight, with one major difference: the USB port is capless. 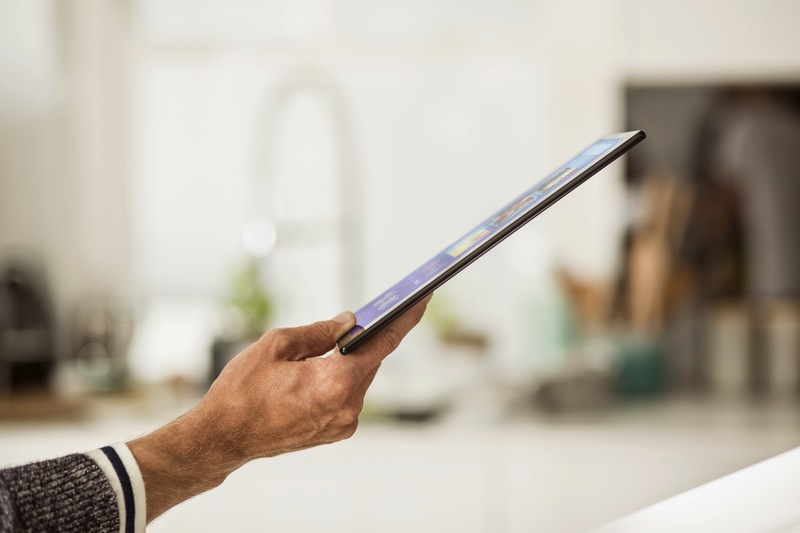 That means no more messing with the cap to charge your tablet and no more worrying about the cap being completely shut before you immerse it — double bonus. 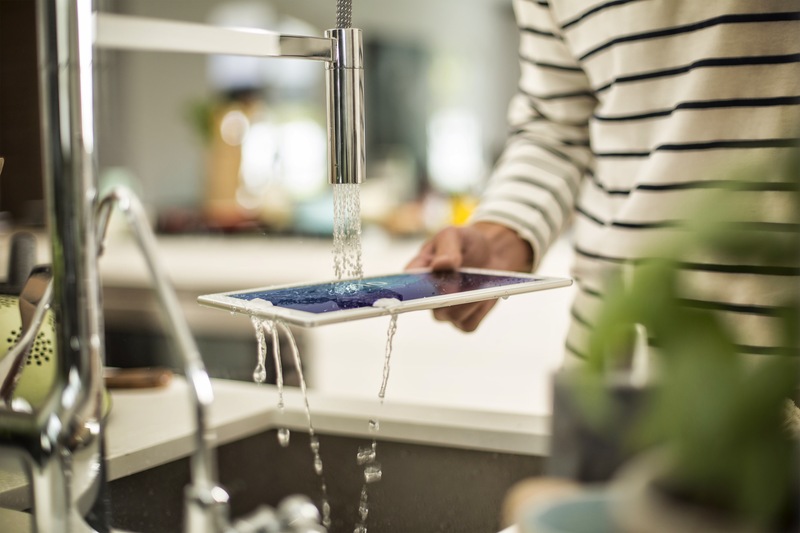 Sony however warns that the USB post has to be fully dried after a water dive before you charge the tablet. 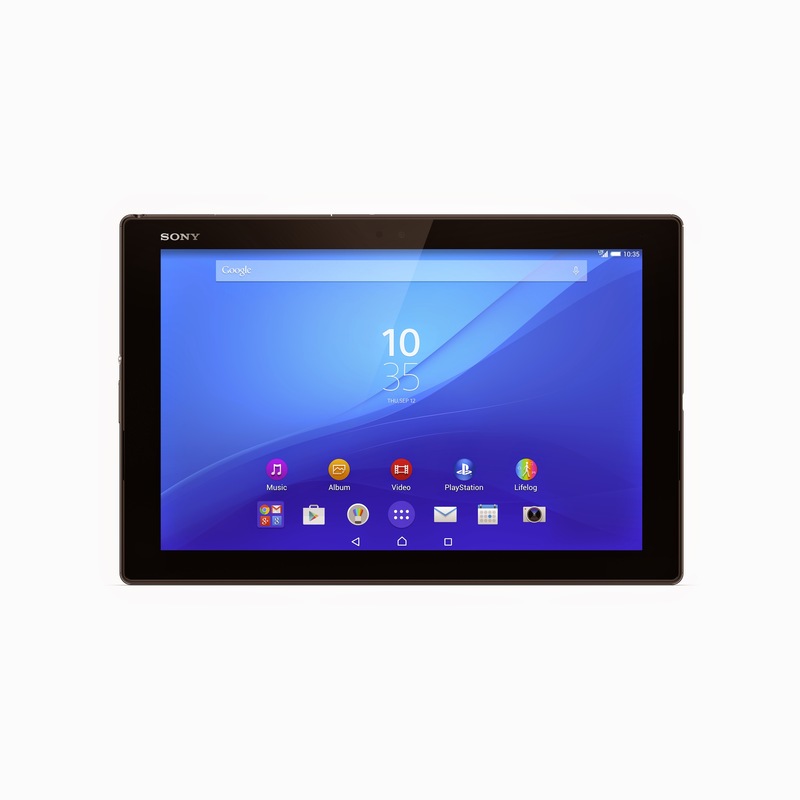 On the software side, the Xperia Z4 Tablet runs Android 5.0 Lollipop. 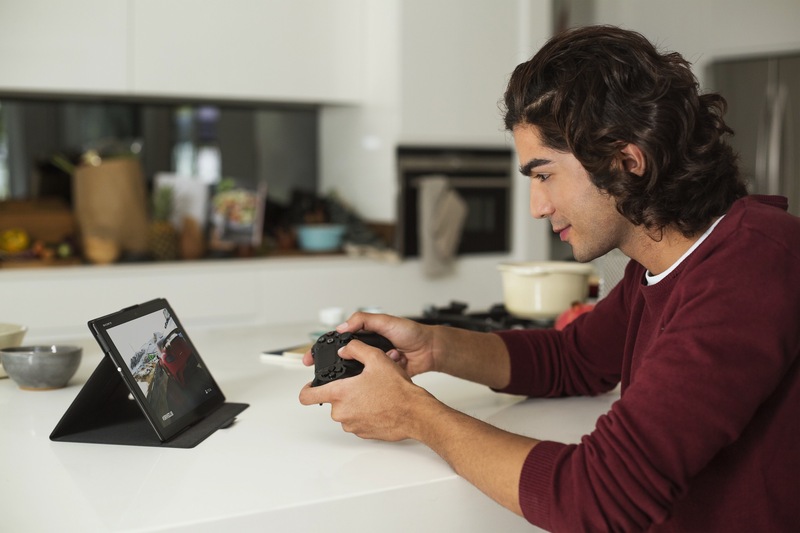 Sony's entertainment suite, the Xperia Lounge Gold, is included, as well as PS4 Remote Play so you never miss a second of gaming. 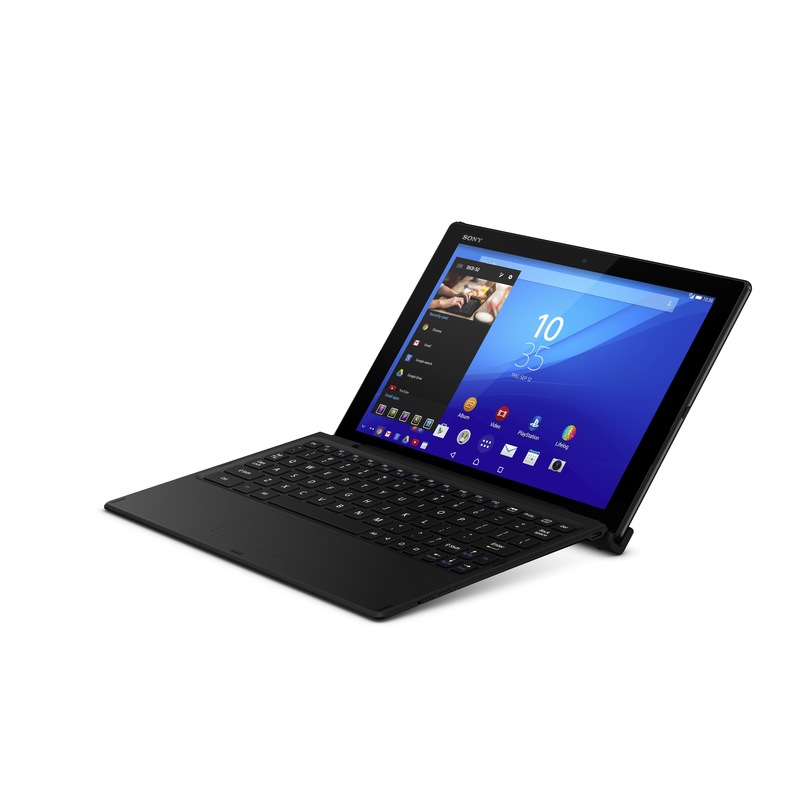 Several accessories are being announced in conjunction with the Xperia Z4 Tablet: the BKB50 Bluetooth Keyboard with adjustable tilt and docking detection, the two-angle SCR32 perfect fit cover, and the NFC-enabled BSP60 smart speaker. 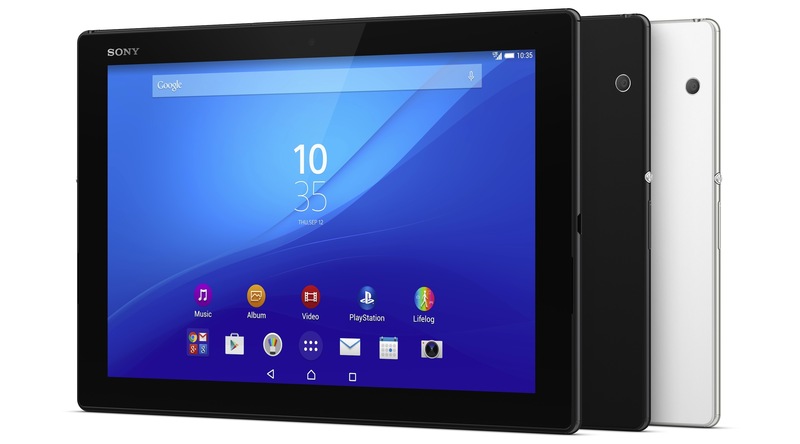 The Sony Xperia Z4 Tablet will be available globally in June 2015, in both white and black colors, and in WiFi or WiFi + LTE variants, with no word on pricing yet.